The National Science Foundation (NSF) has selected Dr. Arthur Lupia to serve as head of the Directorate for Social, Behavioral, and Economic Sciences (SBE), which supports fundamental research in behavioral, cognitive, social and economic sciences. Lupia has more than 25 years of leadership and management experience in the social sciences community. 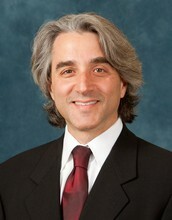 Since 2006, he has served as the Hal R. Varian Collegiate Professor of Political Science at the University of Michigan. He serves concurrently as chairman of the board for the Center for Open Science and as the chair of the National Academies Roundtable on the Communication and Use of Social and Behavioral Sciences. Lupia has also held leadership positions in numerous professional societies. SBE provides about 68 percent of federal funding for social, behavioral and economic sciences basic research at academic institution. The directorate serves the nation by supporting discoveries at the leading edge of science, including cognitive science, decision-making, learning, and more. SBE also houses the National Center for Science and Engineering Statistics that provides mission-critical information about science and engineering in the U.S. and in the world. Further, SBE has supported 55 of the economists (more than 67 percent) who have received the Sveriges Riksbank Prize in Economic Sciences in Memory of Alfred Nobel since it was first awarded in 1969, improving our understanding of the U.S. economy’s processes and institutions. Lupia’s research draws from mathematics, statistics, and the neurosciences to clarify how people can make better decisions in a range of adverse circumstances. His work on science communication and civic education has influenced scholarly practice, policymakers, and classroom teaching around the world. Lupia has won numerous awards and honors, including a Carnegie fellowship, Guggenheim fellowship, the National Academy of Science’s Award for Initiatives in Research, as well as numerous recognitions for his scholarship, teaching, and public service.